Can't make a decision on what color to paint your walls? PAINT SWATCHES HANGING ON YOUR WALLS FOR MONTHS ON END? I WILL BRING YOU TO THE DECISION-MAKING STAGE AND CREATE BEAUTIFUL ROOMS THAT ARE EVEN MORE BRILLIANT THAN YOU COULD HAVE IMAGINED. Defy White...Combat your fear of color! I will bring all of the colors to you. There is no need for you to spend hours at the paint store. And there is certainly no need for you to spend weeks staring at paint chips taped to your wall! The creative process can be complete in as little as an hour. Inspiration is everywhere. I will guide you through the inspiration process to find colors that are appealing to you. The same color can work very differently in alternate surroundings. I will work with you to determine the mood that you would like the room to exude, the current flow of colors in adjacent rooms, and the available light within the room. There are so many factors that affect color selection. Together, we will pick the color that works best for the space and reflects the image that you want it to reflect! Current trend reports for the home are featuring paint colors that reflect the environmentally conscious time we are living in. Leafy greens, clear blues, and earthy shades of browns have gained in popularity as we are becoming more eco-savvy. Blacks and whites with pops of color are fashionable. And beautiful rich embroidery colors are being highlighted in trend reports as well. What does all of this mean? While it's always a good idea to be well-informed, YOU are the ultimate influence on trend in your home. The assortment of paint colors is so vast and the differences between them are so slight that they may even be considered negligible. How do you choose the right colors? There is no right or wrong when selecting a color that is appealing to you. The challenge is in selecting a color that is appealing to you, that works well in your specific setting, and flows smoothly with adjacent rooms. As a color professional, I will address all of these challenges and work with you to determine the best colors for the rooms in your home. Benjamin Moore Aura paint is a low-VOC paint product which is available in all Benjamin Moore colors. This paint is easy to work with, quick drying, and has excellent coverage. Benjamin Moore Aura paints are slightly more expensive than traditional paint, but can actually save you money. They are self priming and even deep, rich colors like reds and oranges don't need more than two coats. Simply amazing!!! I often recommend using Aura quality paints to my clients who are using darker colors even if they are not interested in the environmental benefits of the paint. Benjamin Moore Natura is a zero VOC paint which is virtually odorless. Natura is available in all Benjamin Moore colors and is less expensive than Aura. Perfect if you are interested in the environmental benefits of zero VOC paints or planning on remaining in your space during the painting process, also a great choice when painting kids' rooms! Color fan decks, ideas, and more...I will come to your home armed with color strips and tear sheets full of ideas. If you have items or focal points to get us started, we'll use them. If not, we will find or create them together. We'll walk through your home and discuss your style and the existing flow of color throughout the rooms as well as the look and feel that you would like to achieve. I will also offer advice on inexpensive ways to improve the appearance of your rooms. Painting makes a dramatic change, but little things like light switch plate covers, fixtures, cabinet knobs, door knobs and more make a tremendous impact and are so simple to change. I service the New York Metropolitan Area (NY NJ CT). New York City (Manhattan), Westchester, Rockland, and Orange County. New Jersey - Bergen County, Hudson County, Passaic County, Morris County, Sussex County and more. If you do not see your area listed, please inquire. $95 per hour - Weekdays. Weekend availability is limited. Please inquire about rates. You'll be amazed at how painless picking a paint color can be! Call or email for an estimate. Pick your paint colors with confidence! I can't thank you enough for all of your help in choosing the colors for my new home. You did an amazing job picking great colors, especially given how challenging it was to work off the existing colors and fixtures that we couldn’t change. All three rooms look beautiful. I can't believe how much better the bathroom now looks -- what a difference! The nursery blue is perfect, and I love the color you went with for the office! I don't know what I would have done without you! I will definitely pass your name on to anyone who is looking for some expert advice with colors. I had such a great time working with you. Thanks again for making a difficult process so easy! Thanks so much for all your help. The painting is in progress and looks great so far:) I will def keep my ears open so I can recommend your service to family/friends. i am so glad i found your ad. our meeting was professional, well-prepared and you helped me come to a color decision quickly. the baby's nursery now looks complete, and the color is better than even i or my husband imagined. so they are coloring the walls now .. finally! kansas grain rocks. it looks stunning, actually way more stunning than I had imagined. The combo of kansas grain with white cloud is really beautiful. If you are ever in the area, you must stop by and see how gorgeous its coming out ... it looks modern and yet traditional with a very, very slight hint of grey and yellow .. its a showstopping color. I just wanted to let you know that we finally painted and the colors you suggested look great! The bathroom in particular came out beautiful. We went with the darker brown for the kitchen walls, as you recommended. It's such a pleasure to spend time in the kitchen now. 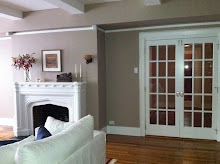 Recommended professional painters are available upon request. As a former successful Fashion Buyer who was no longer inspired by apparel and the corporate world, I am now doing what I love as an Interior Color Consultant. I have more than 15 years of experience working with color on a professional level and am an expert solution-seeker. I am inspired by my surroundings, favorite objects, and focal points. I will help you find exactly the right colors to reflect your style, even if you're not quite sure what that style is. Call or e-mail to schedule a color consultation in your home. earth911.org - Recycle or properly dispose of excess paint or other household wastes. Type in your zip code to find the nearest recycling centers. Furniture Assembly Service & More will take the work out of building your furniture! Home, office, closet, window treatment and artwork installation services. Specializing in IKEA, West Elm, Crate & Barrel, Pottery Barn, ClosetMaid, Rubbermaid, Elfa shelving, and more. Furniture Assembly Service & More is an invaluable asset to home owners, interior decorators and stagers - an amazing service at a great price!